When you insert a table with border = 0 attribute or border style = 0 in style attribute, a guideline is shown in design time. This guideline CSS can be defined by the property "ZeroBorderTableGuidelineCSS" under "Options". Whenever you get the BodyHtml or DocumentHtml back, this CSS will be taken off from the final HTML. 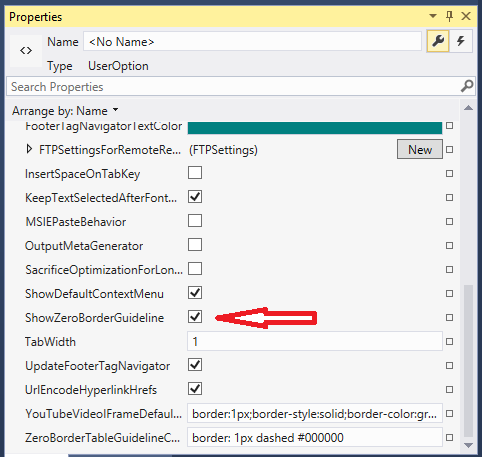 You can control either the guideline should be shown or not for Zero Border tables by setting a property named : "ShowZeroBorderGuideline".